36h x 74w x 2d in. 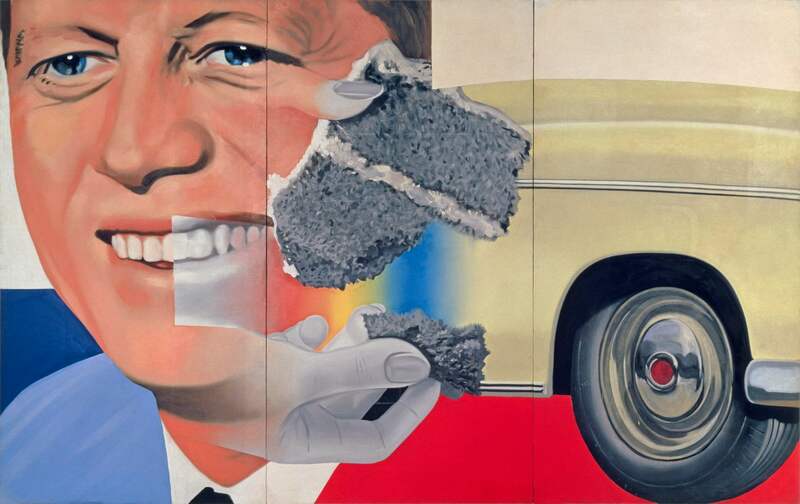 James Rosenquist’s large, provocative paintings, reflecting his social, political, and cultural concerns, made Rosenquist a major influence on the Pop Art movement. 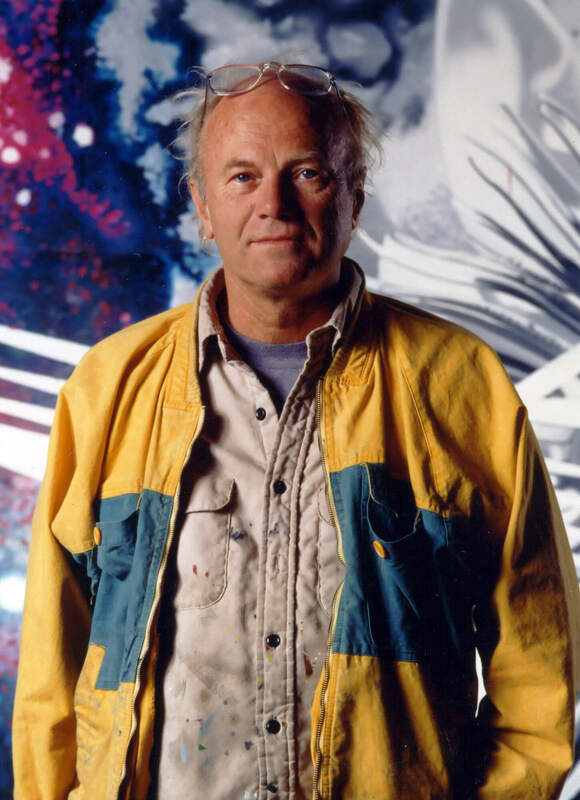 James Rosenquist was born in Grand Forks, North Dakota in 1933. His parents, Ruth and Louis Rosenquist, were both amateur pilots. Louis Rosenquist moved the family from town to town in the Midwest, while taking various jobs in the aviation industry. 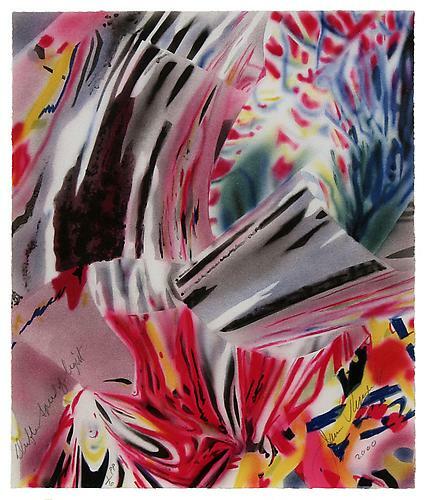 Ruth Rosenquist was an amateur artist, who recognized the artistic talent in her son encouraged that talent. 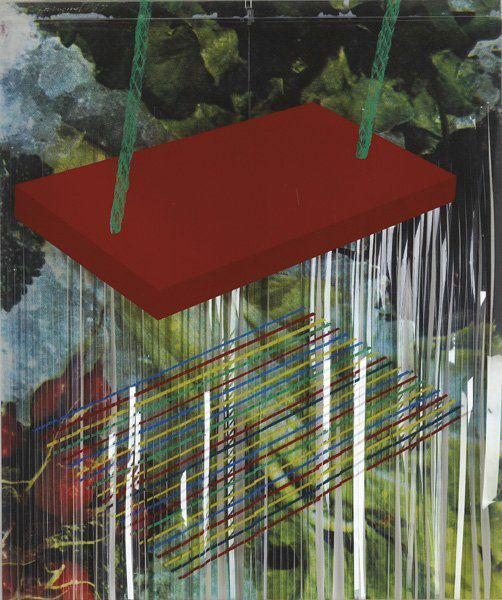 In 1944, when the family finally settled down in Minneapolis, and Rosenquist was attending Junior High School, he won a scholarship for four Saturday art classes at the Minneapolis School of Art at the Minneapolis Institute of Arts. After graduating from Roosevelt High School, he took art classes at the University of Minnesota, from 1952 to 1954, where he studied with American artist, Cameron Booth, who had been a student of Hans Hoffman. 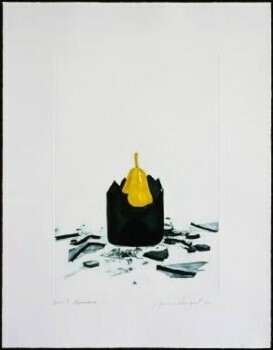 Booth became Rosenquist’s mentor. 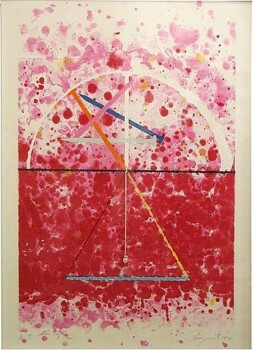 During the 1953 summer break, Rosenquist worked for a commercial painting contractor. He traveled with a crew across the Midwest, painting billboards, gas and storage tanks and grain elevators. After graduating from the University of Minnesota with an associate’s degree in studio art, Rosenquist continued to work as a sign painter until, in 1955, Cameron Booth encouraged him to apply for a scholarship to the Art Students League in New York. 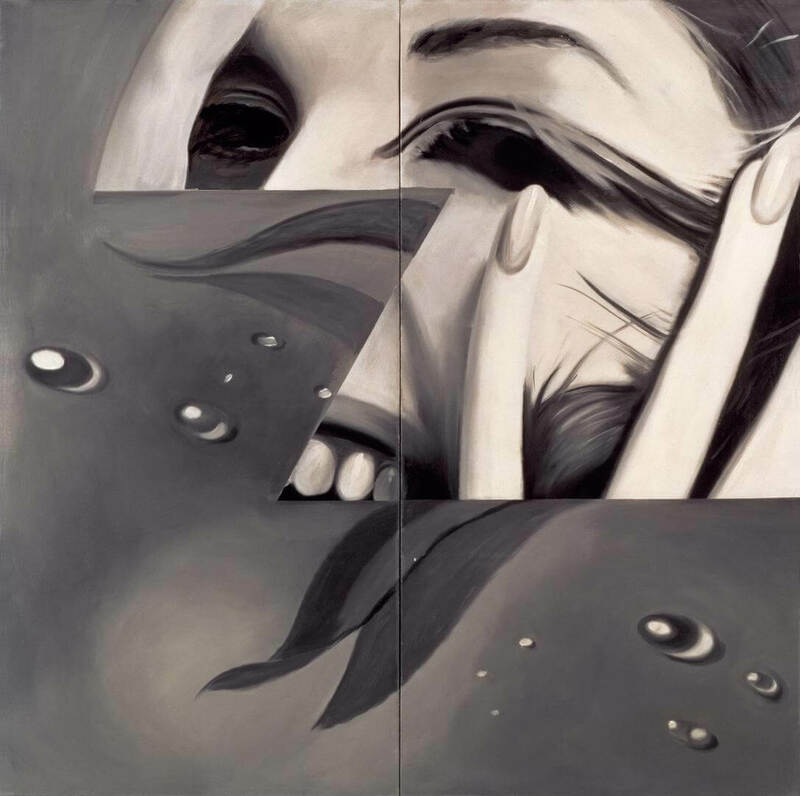 Rosenquist received the scholarship and studied with Will Barnet, Morris Kantor and other outstanding teachers and socialized with Franz Klein, Willem de Koonig and other artists. Rosenquists education at the Art Students League was cut short by a bout of pneumonia, and he spent the last part of the academic year being treated in the welfare ward at Roosevelt Hospital in Manhattan. 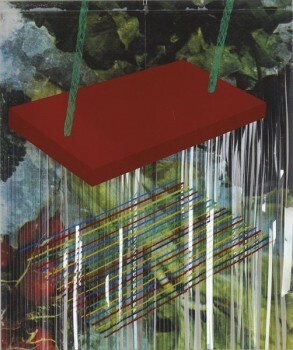 After his recovery, Rosenquist took a job as chauffeur and part-time nanny, with the Stearns family in Irvington, New York. He had a studio in the Stearns’ home, where painted. He also spent time in the city, where he met Jasper Johns, Robert Rauschenberg, Robert Indiana, Ellsworth Kelly, and other contemporary artists. In 1956, he finally moved back to Manhattan, joined Local 230 of the International Brotherhood of Painters and Allied Trades union and began painting billboards. In his spare time, he attended drawing classes with Claes Oldenburg and Henry Pearson, that were organized by Robert Indiana and Jack Youngerman. It was during this period that he began creating very large drawings, which would eventually become the basis for his distinctive style. In 1960, Rosenquist gave up billboard painting, after two of his colleagues fell off a scaffolding and died. 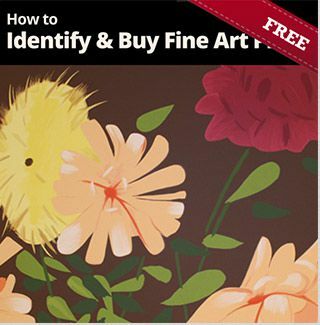 He concentrated his artwork, creating large paintings that combine the techniques he used painting billboards with commercial images from advertisements and photographs. He also married textile designer, Mary Lou Adams, with whom he had a son. The marriage lasted for fifteen years. 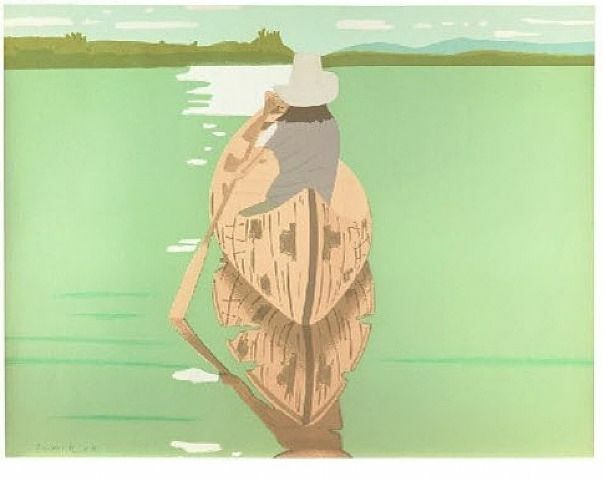 His work began to get the attention of gallery owners and, in 1962, he had his first solo show at the Green Gallery in Manhattan. The show sold out and Rosenquist’s career took off. Rosenquist had shows in major museums and galleries and began to experiment with shaped canvasses, multiple media and printmaking. 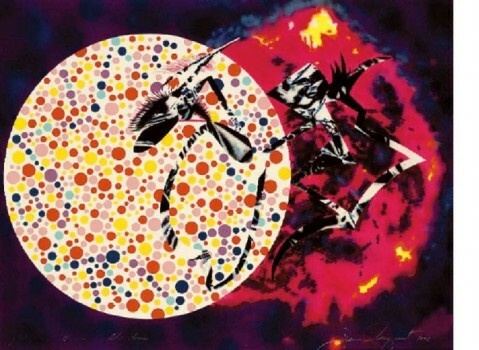 In the 1960s and 1970s, Rosenquist was a vocal protestor of the Vietnam War and an active advocate for artists’ rights. He attended a Senate Senate subcommittee hearing in 1974, with Robert Rauschenberg, to lobby for legislation regarding artists’ estate inheritance taxes and resale royalties. 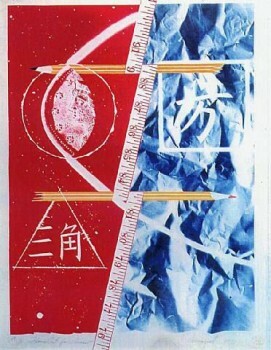 Rosenquist spent time in both his New York studio and a studio that he built in Aripeka, Florida in 1976. He became active in the Florida art scene, creating a mural for the capitol building in Tallahassee. He married his second wife, Mimi Thompson, in 1987. The couple had one daughter and remained together until Rosenquist’s death in 2017. James Rosenquist served on the Board of the National Council of the Arts, received the Golden Plate Award from the American Academy of Achievement in 1988 and was given retrospectives at the Whitney, the Wallraf-Richartz Museum in Cologne, the Guggenheim and other major venues around the world. 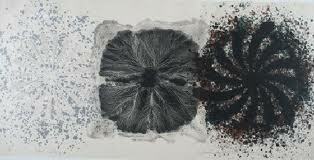 His works are part of the permanent collections of MoMA, the Boca Museum of Art, the Brooklyn Museum, the Metropolitan Museum of Art, the National Gallery, the Smithsonian and other major public and private venues internationally. James Rosenquist died at his home in New York in 2017, at age 83. 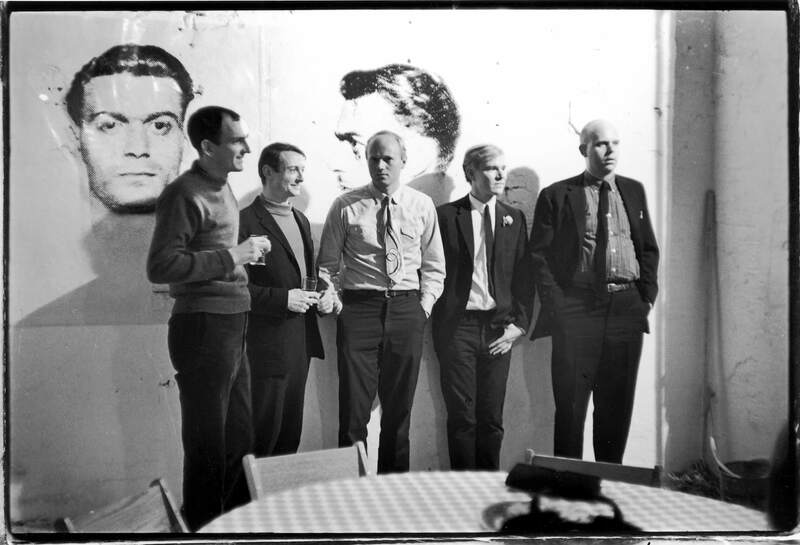 Five American Pop artists: Tom Wesselman, Roy Lichtenstein, James Rosenquist, Andy Warhol, and Claes Oldenburg, in Warhol’s loft in New York City, 1964.